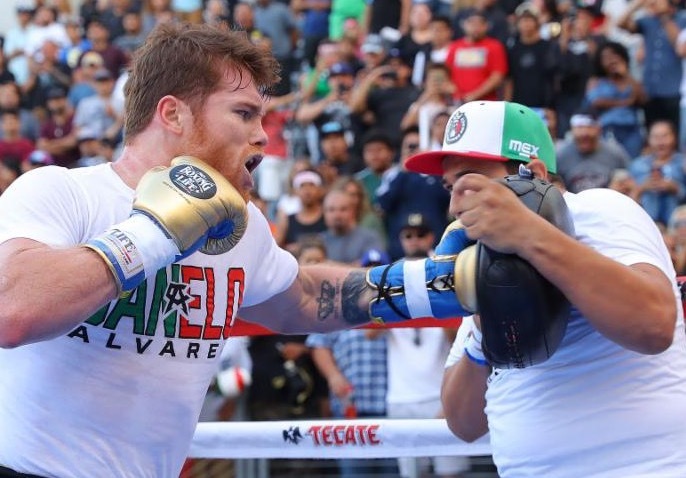 (ABOVE, L-R: Canelo Alvarez and Gennady Golovkin work the mitts before a large crowd of fans at Banc of California Stadium in Los Angeles ahead of their highly anticipated rematch). 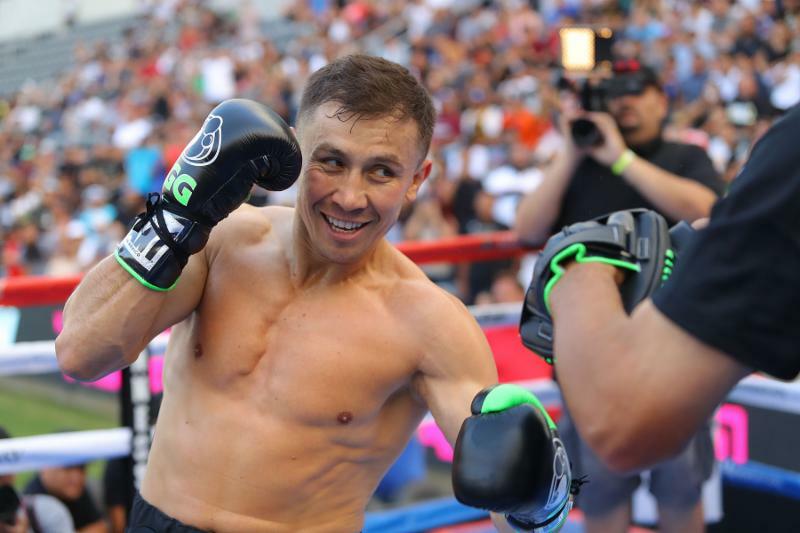 LOS ANGELES (Aug. 26, 2018): Lineal Middleweight World Champion Canelo Alvarez (49-1-2, 34 KOs) and WBC, WBA and IBO Middleweight Champion Gennady “GGG” Golovkin (38-0-1, 34 KOs) hosted a Los Angeles media workout in front of thousands of fans at the new Banc of California Stadium ahead of their historic rematch. The fight will take place Saturday, Sept. 15 at T-Mobile Arena in Las Vegas and will be produced and distributed live by HBO Pay-Per-View beginning at a special time of 8:00 p.m. ET/5:00 p.m. PT.